Hailing from Leeds, Northern England, Chris had a keen interest in many competitive sports from an early age, originally finding his calling in rugby league as a teenager. Chris’ competitive spirit, skills and grit saw him shoot up the ranks. A professional player at just age 17, Chris spent 11 years playing top level Super League in the UK and Elite League 1 Rugby in France. His enduring passion for fitness led him to a career in Fitness upon retiring from rugby league. Relocating to the sunny shores of Sydney, after completing Certificate III and IV in Fitness, Chris was then charged with the responsibility to open and manage one of the cities most exclusive private gyms in 2011 – 98 Riley St. At ‘98’ the focus is on turning ordinary into the extraordinary, providing targeted, personalized and accountable training programs and classes for fitness, health and well-being. In recognition of his dedication and excellence to training and fitness, Chris was invited to Utah, USA to participate in a private training and fitness qualification program called Gym Jones. Gym Jones is an elite program that prides itself on a dedication to ‘the art of suffering’. 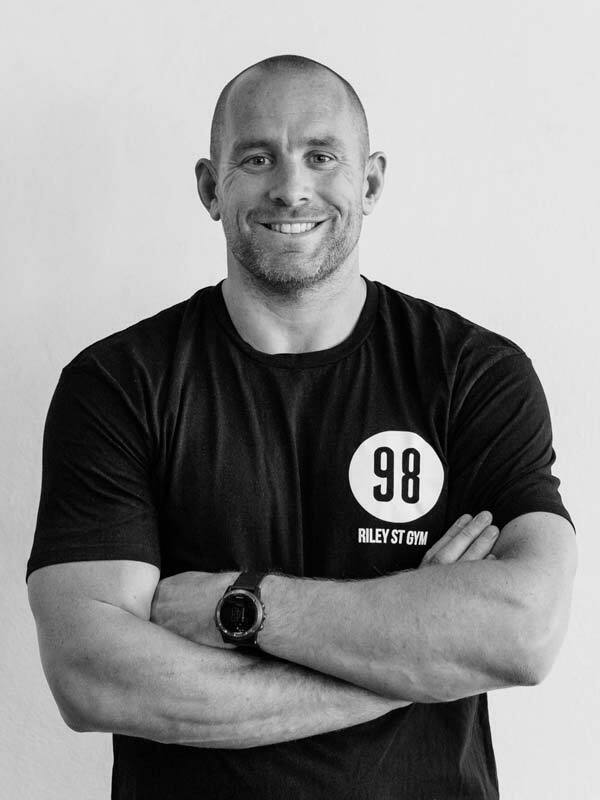 In late 2011, Chris became one of only 20 current Certified Gym Jones Instructors worldwide, and utilizes this knowledge and spirited elite training philosophy when devising programs and challenges for his clients. This certification also brought new opportunities, including global demand for his services as the fitness trainer of record for key cast members during film production on many Hollywood blockbusters. Chris’s overall philosophy is based on hard work, mental strength and willingness to suffer. In his opinion, aesthetics are a bonus to achieving true fitness. Not vice versa! Importantly, he also practices what he preaches. There is no training or workout that Chris prescribes for a client without already completing it himself. Chris trains a variety of clients, male and female, from beginners through to professional athletes. No matter what their age or ability, his clients simply require a passion to succeed, a positive mindset and a whole load of determination. He continually challenges them to improve their results and efforts, essentially competing with themselves in order to achieve their personal goals… and when that goal is reached – to set and reach new goals in the constant quest for fitness excellence. The Aussie winter has been good to us this year. With 20 plus degrees predicted and two new sandbags to debut, i decided we’d hit this weeks FYF at the beach. Hailing from Leeds it is still a pretty special experience for me to head up to Bondi Beach. To be able to train there with this group of lads on a Friday afternoon is outstanding. The session was tough but to finish in the ocean made it all worthwhile! Check out this GQ article here. Check out my latest article for Men’s Muscle and Health. A career profile on everything from retiring playing Professional sport to future business plans at 98 Riley Street Gym.